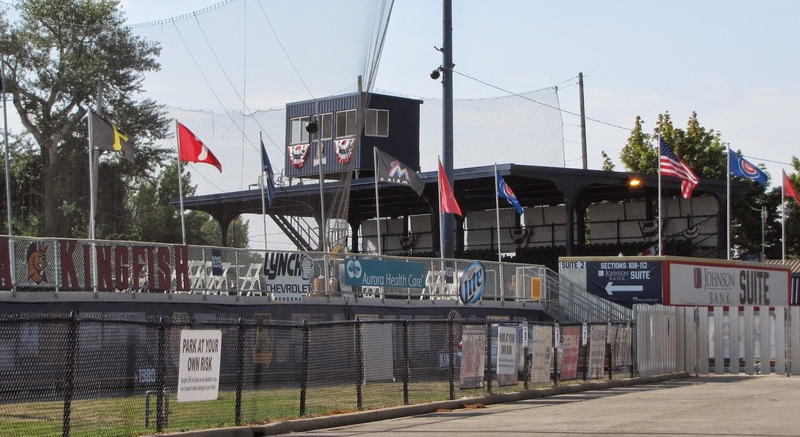 Simmons Field in Kenosha, Wisc., in 2014. 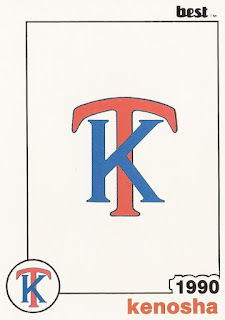 Simmons was home to the 1990 Kinosha Twins. 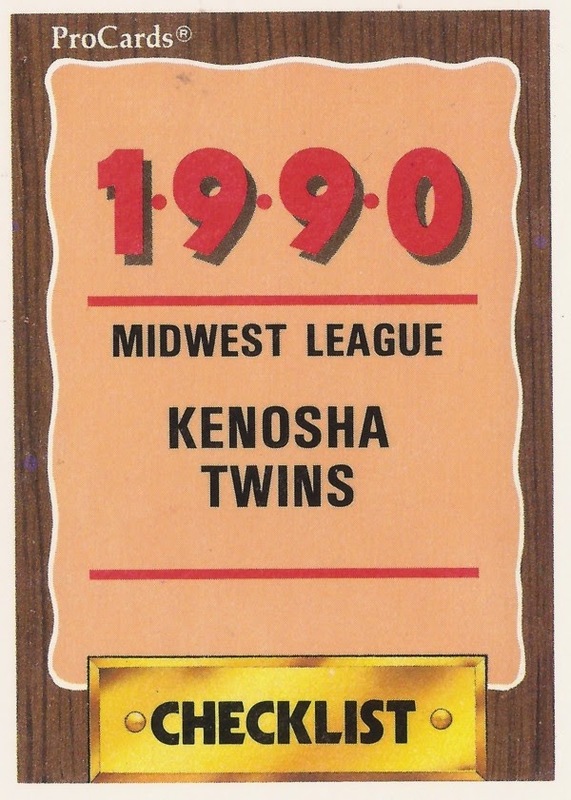 Features on each member of the 1990 Kenosha Twins, single-A affiliate of the Minnesota Twins. Players featured are as included in that year's team set. Click on the player's name to read more. Alan Newman balked in a run before he threw his first major league pitch. He wanted into his 12th pro season to get there. Both when Mike Misuraca made the pros and the bigs, his father got the word out. Rick Anderson never thought he'd make the bigs. As a player, or as a coach. Jayson Best was a firm believer in practicing. He practiced as a pro in seven seasons. Rex De La Nuez had a key throw in AA game. He later became a Reds scout. Sandy Diaz played in four professional seasons. He never made AA. Steve Dunn liked hitting cleanup. Hit in the majors in 19 games. Dan Fox got injured in college, took it to a career as a trainer. Randy Gentile pitched a crucial no-hitter in high school. He played just two seasons as a pro. Deryk Gross had a career day in college. He had few in the pros. He played just three seasons. Jody Harrington had a bad start in 1989. He played four seasons as a pro. Troy Hoerner's first career as a player lasted just two seasons. His second one as a scout has lasted much longer. Steve Liddle used his coaching talent to make it to the big leagues. Marc Lipson played four seasons as a pro. He later became a high school coach. Mike Lloyd set the tone in a college game. He played two seasons as a pro. Mike Mathiot scored the game-winner in 1989 game. He played four seasons as a pro. Joe Milene remained upbeat about his major league chances, despite injuries. Mike Misuraca pitched at highest level for five games in 1997 with the Brewers. Steve Morris knocked in two against a top Athletics prospect. He played two seasons as a pro. Willie Mota had a big day at high-A in August 1992. He played six seasons as a pro. Darren Musselwhite has faced challenges as a player and as a mayor. 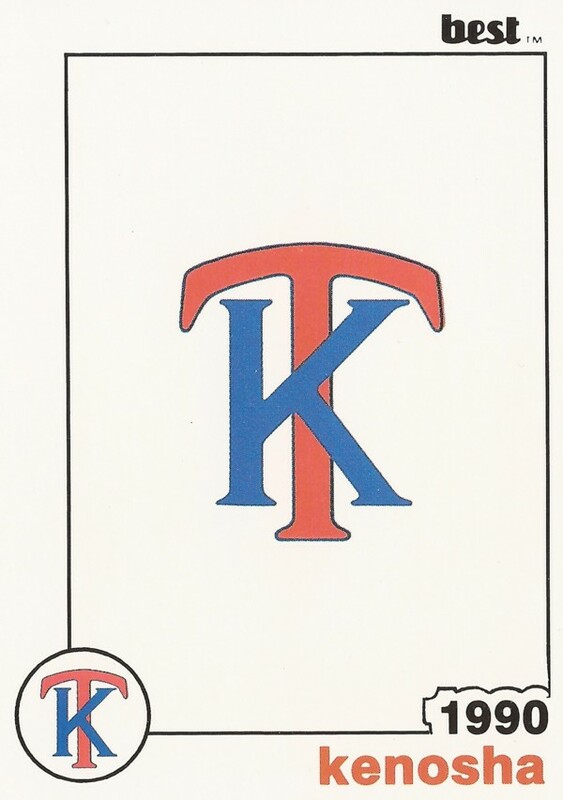 Tim Nedin used four pitches in college. He played four seasons as a pro. Alan Newman finally relied on his stuff. He then made bigs in his 12th year. Alex Nunez played in five pro seasons, but he got too few hits. He never made AA. Francisco Pichardo experienced firsts in 1990. He never experienced AA. Carlos Pulido made it back to the bigs in 2003, nine years after he was last there. Scott Robles caught the eye of scouts in college. He played two seasons as a pro. Bryan Roskom made multiple stops on field, not in his career. Rob Schiel worked as a beer truck driver. He didn't want to be a beer truck driver. Joe Siwa hoped for a collision at home in 1992. He got four seasons as a pro. Jeff Thelen was top Wisconsin high school pitcher. Saw four seasons as pro.